Light the World: Dec. 13th - Say Sorry - B. B. Say "I'm Sorry" to someone. Apologizing is actually a difficult thing. I think a lot of how we say sorry to others and what we think when someone says sorry to us comes from our previous experiences with people. I also believe it has a lot to do with how you grew up and the family dynamic. 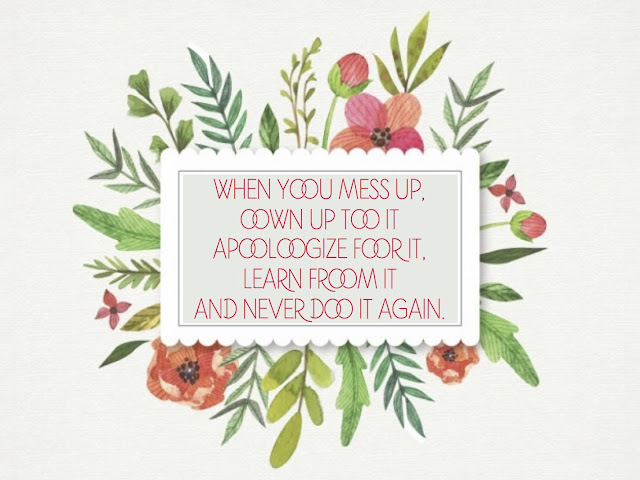 I say this because my opinion of the words, "I'm sorry" was formed through my upbringing. I knew someone growing up who often said incredibly insensitive and callous things, not necessarily to be malicious or even mean; this person often wanted attention and used people to make a joke or try and make others laugh. (think Michael Scott from The Office) When this person saw they had offended me or someone else in the family they would quickly say, "I'm sorry".... usually in the same tone they told the joke in. Basically, it was very insincere and they would say it in a mocking tone (letting you know they thought you were being overly sensitive). Because of this they never changed, they never took their words seriously and would repeat the same behavior again and again, with a mocking "I'm sorry" at the end. I remember thinking if I apologize to someone I wanted to really think about it-own what I did-and try to genuinely make it right. I wanted to mean it, I never wanted to act like the person above. I wanted people to feel safe around me and know that I was truly penitent. In that same light, when someone apologizes to me, because of my previous experience, I often need to really think about it. Of course I would forgive that person, but if the apology seemed insincere or a mere social obligation, I had to think it over. I had to consider that I may be wrong in my perception of the apology, maybe it was sincere? I needed to think it over and not drag my personal family history into the equation. I need to do this because I also want my forgiveness to be genuine. 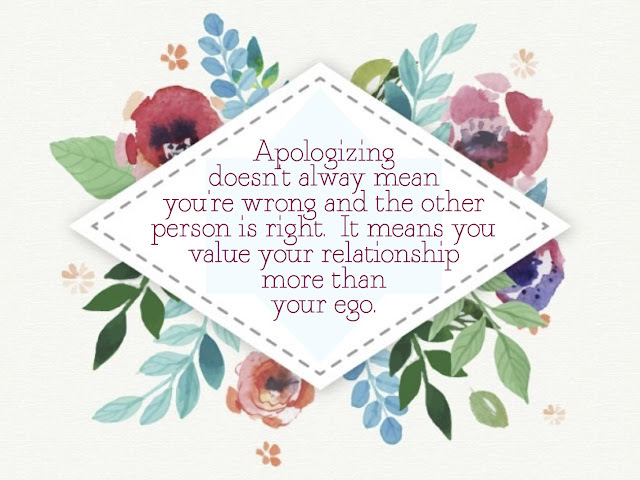 Apologizing and forgiving are most surely Godly traits. Our words mean so much and can hurt greatly, even more than physical wounds. So when we apologize or forgive a person it only makes sense to do so genuinely.